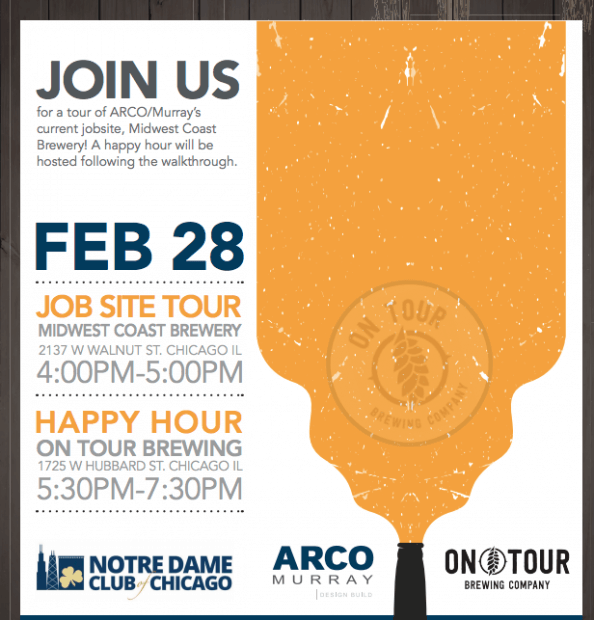 Join us for a tour of ARCO/Murray’s current job site, Midwest Coast Brewery, and learn more about the benefits of the design-build methodology! The tour will take place from 4:00-5:00pm. A happy hour at On Tour Brewing will be hosted following the walk through from 5:30-7:30pm. This event is free of charge – just click here to register!